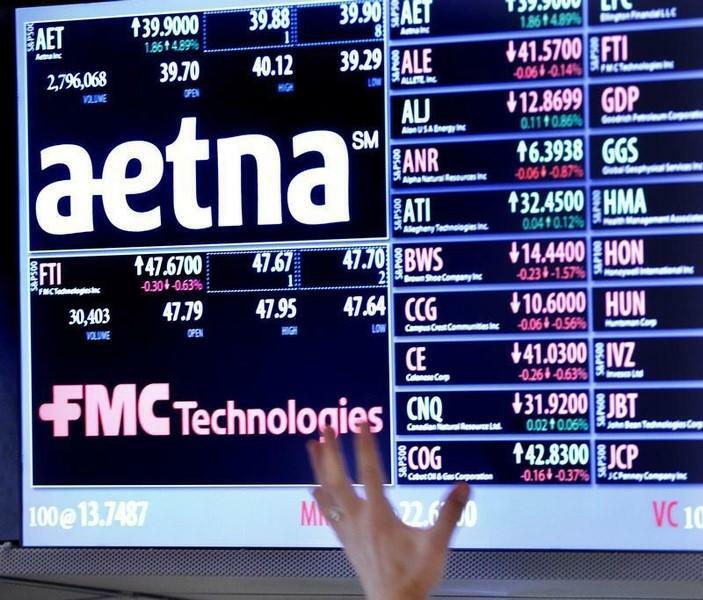 (Reuters) - Health insurer Aetna Inc (AET.N) on Friday said it would buy smaller rival Humana Inc (HUM.N) for about $37 billion in cash and stock, in the largest ever deal in the insurance industry. Anthem has offered to buy Cigna Corp (CI.N) to create the largest insurer in the country, toppling UnitedHealth Group Inc (UNH.N). Media reports have also said UnitedHealth could be eyeing Cigna and Aetna. On Thursday, Centene Corp (CNC.N) said it would buy smaller rival Health Net Inc (HNT.N) for $6.3 billion. Antitrust authorities, who were aggressive in their review of the failed deal between Comcast (CMCSA.O) and Time Warner Cable (TWC.N), are expected to scrutinize how the combination of insurers will affect competition for each line of insurance: Medicare, Medicaid for the poor, individual insurance, commercial insurance for small and large businesses and the large employer business. Humana's sale has been anticipated since May when it was first reported that Cigna Corp (CI.N) and Aetna were interested, and multiple sources confirmed to Reuters that the company was entertaining offers.